Pay great attention to the concrete driveway. If you see some sunken areas or the slab shifted slightly upwards, there is an underlying issue, for sure. Sinking slabs often indicate a weak or moving subgrade or probably swelling soils. The issue may have started from way back when a contractor did not compact the subgrade well enough to make it stable. 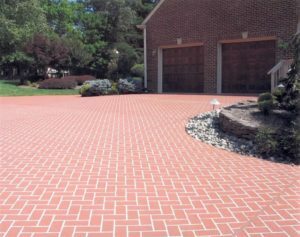 If you want to see how level a concrete driveway is, ask to pour some water on it and see where the water goes to puddle. Make sure to ask about any crack that you see. During a visit, there is no way you could tell if it is a working crack or not. If it is, it would be a big problem once you choose to purchase the property. If possible, have a concrete expert accompany you during a visit. This way, they would be able to advise you whether it is repairable or not. Contractors make sure that a driveway transitions smoothly to the road. However, if you notice that the entire driveway is higher than the main road, make sure to check it out. Either the contractor did not make the right measurements or the pavement has been coated too many times already. These are often caused by freeze-thaw damage. Concrete is a porous material so it often absorbs water. The water could freeze and thaw repetitively during very cold weather, causing it to expand and compress repetitively as well. This causes the concrete to be weak and brittle. Although this often only occurs on the top layer, still be cautious. There is a possibility that it is brittle past the top layer. Sellers would do anything to sell their house. A splash of new paint on a driveway is quite suspicious because it could be there to hide something. Even if it isn’t there to hide something, chipping and peeling paint could be one of your problems in the future.